This beautiful arrangement is perfect for any occasion. 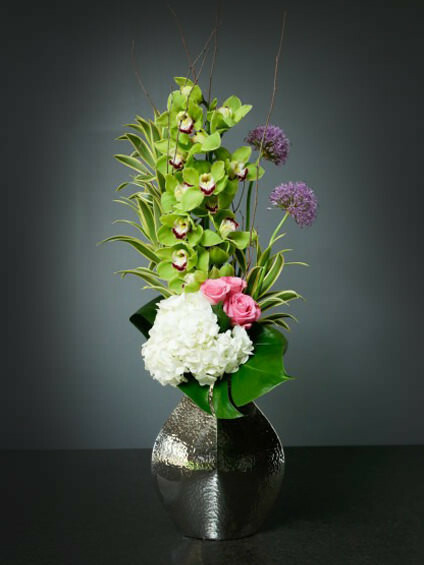 This amazing floral creation is made using a modern metal container and filled with long stems of Cymbidium Orchids, Hydrangea, Roses and Allium. The perfect flowers for the perfect gift.